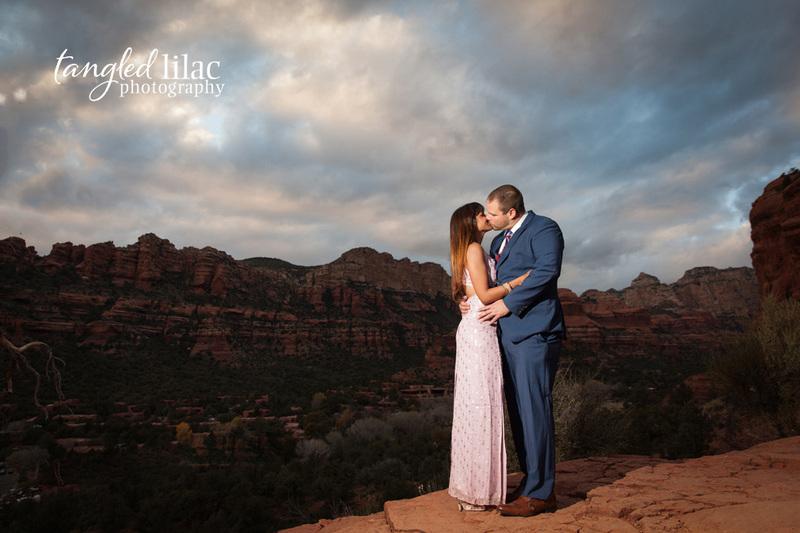 This couple came from the gorgeous area of San Francisco and San Diego to meet in Sedona to enjoy some quality time together. They choose the Enchantment Resort and I can’t think of a more relaxing and rejuvenating place to be. Once you’re on site, every care in the world just melts away as their staff makes your stay easy and restful. If you’ve never been to the Enchantment, put it on your bucket list. It makes for a luxurious and wonderful long weekend or week splurge. 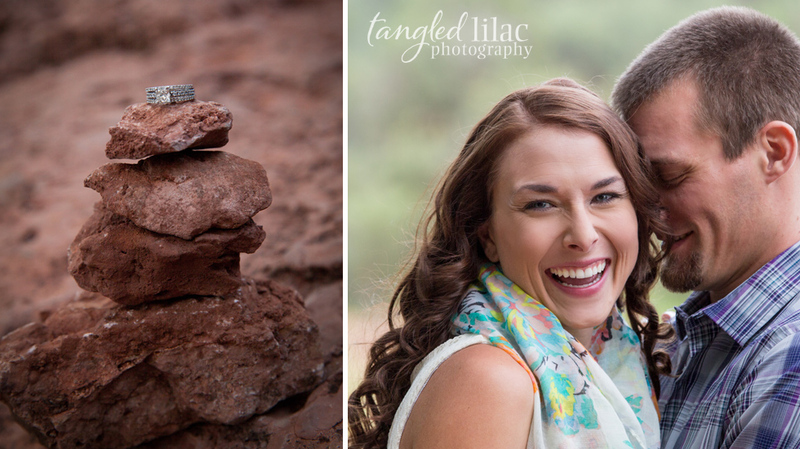 Shaila and Jarod were so wonderful to work with and I loved getting to know them as we hiked along a trail in Sedona. 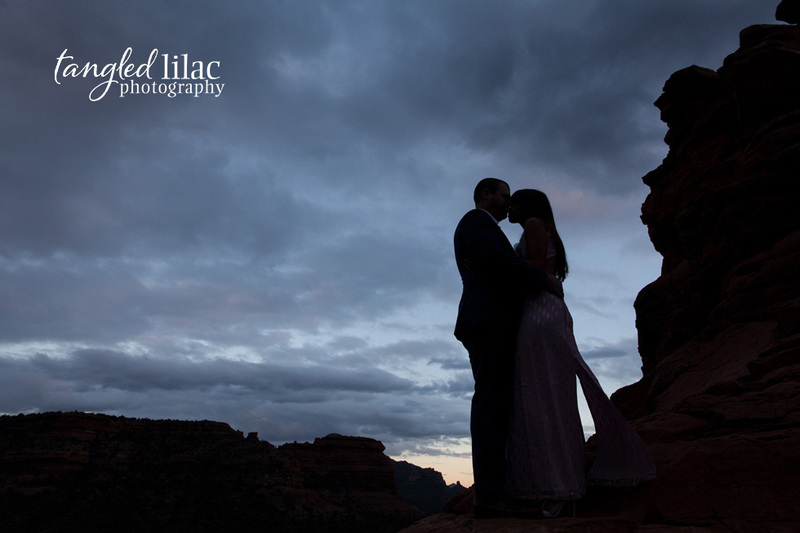 Since they live so far apart from one another it was important to them to choose a location where they could have some romantic quiet time and I loved that I was so lucky to have been able to document their relationship. 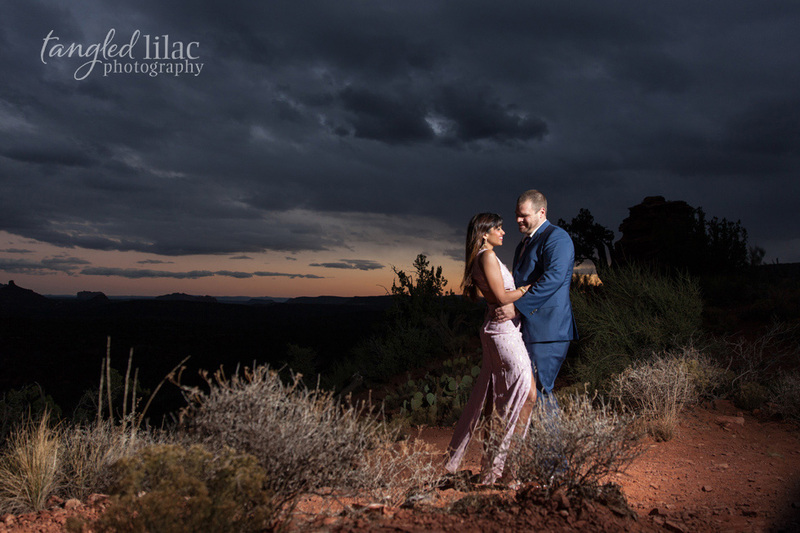 As the sun dipped below the horizon, I enjoyed using my off-camera-flash to capture some dramatic looks and dreamy sunset skies. 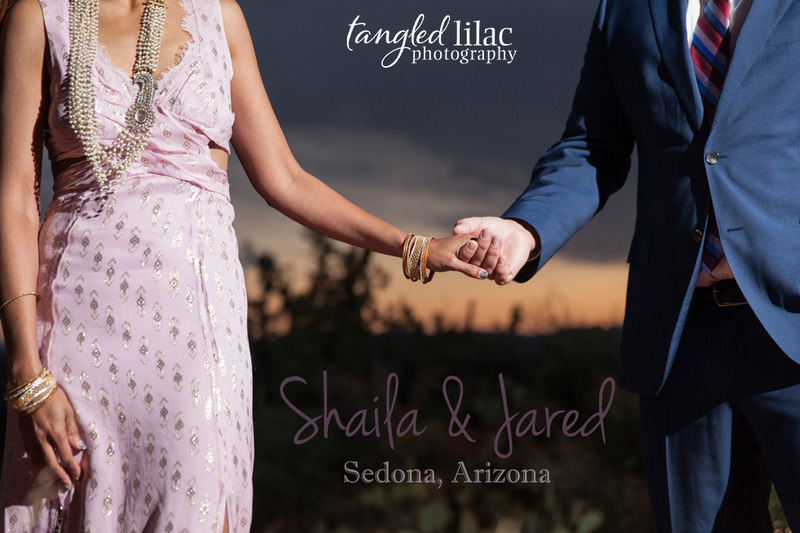 Being a Sedona photographer is such an amazing job, especially when I get to spend it with such wonderful and caring people like Shaila and Jared. 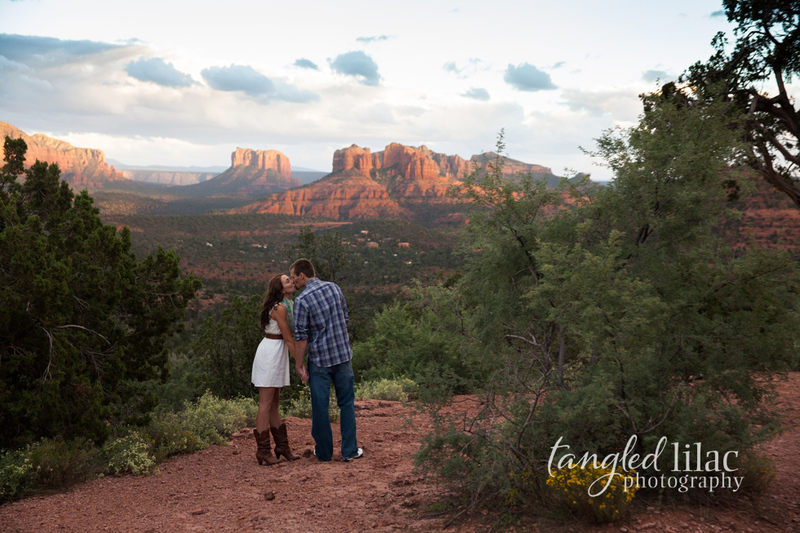 Patrick proposed to Amy on a gorgeous evening overlooking all of Sedona. 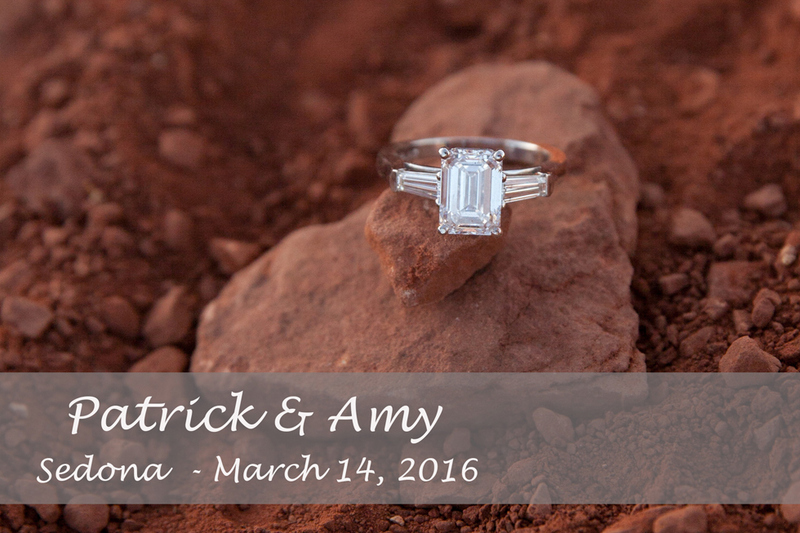 Amy was completely surprised by the proposal and all of Patrick’s secret plans which included us hiding out to capture the special moment. 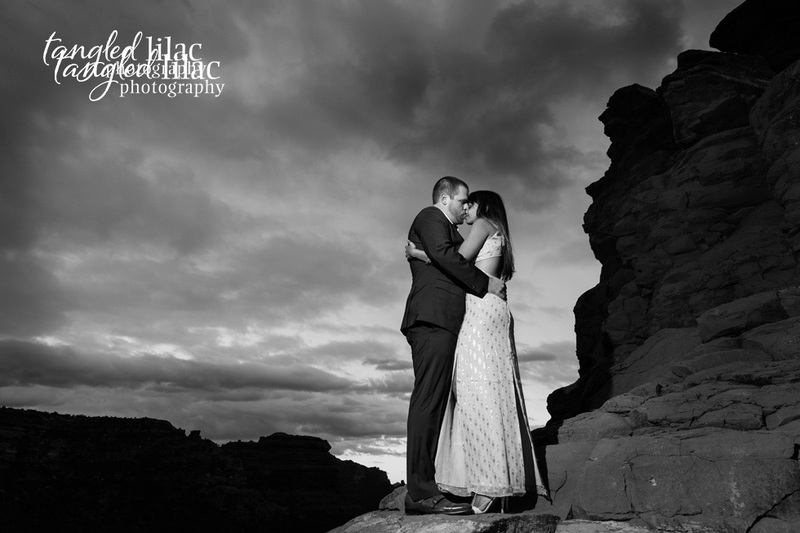 We wish the happy couple lots of love and happiness! 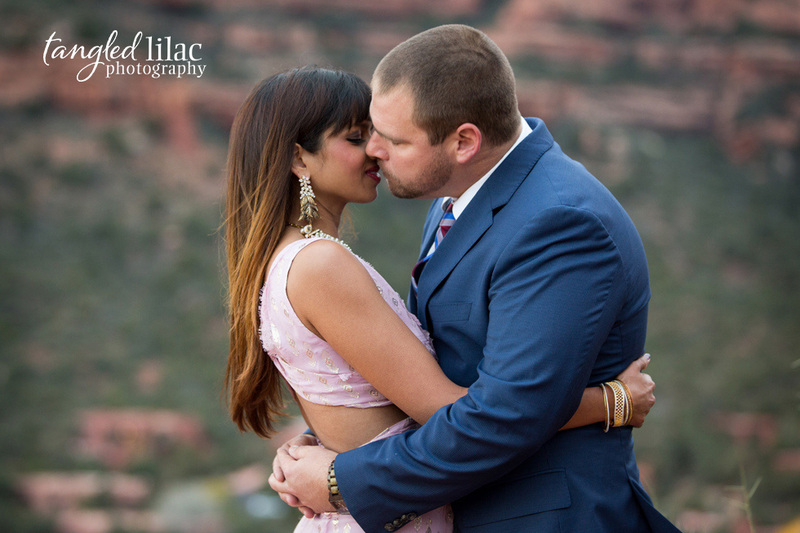 We just love love! 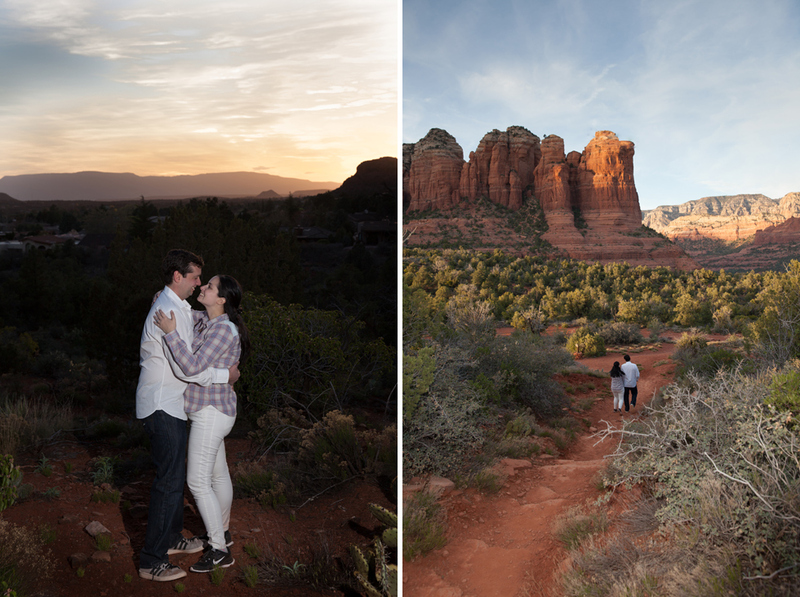 Chris hired us to pose as hiking tourist so that we could capture all the special moments of his proposal! 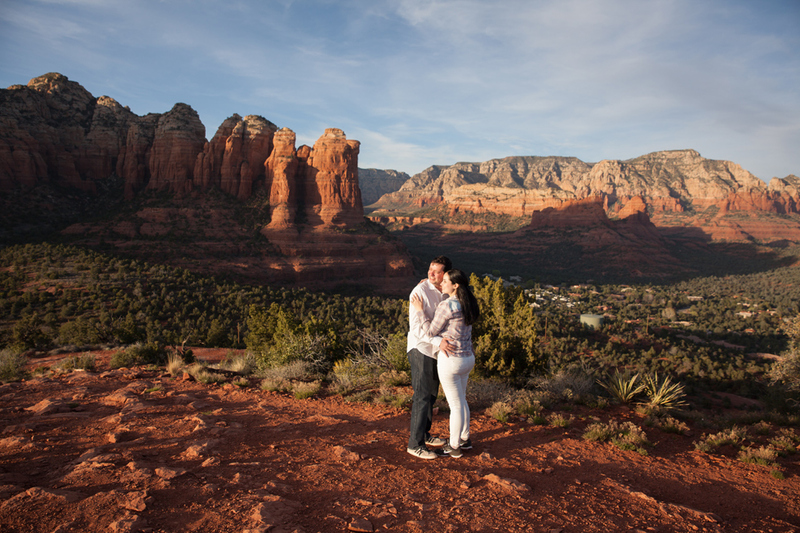 Chris and Helene hiked up Bell Rock Pathway to enjoy the view and sunset on the first night of their Sedona vacation. 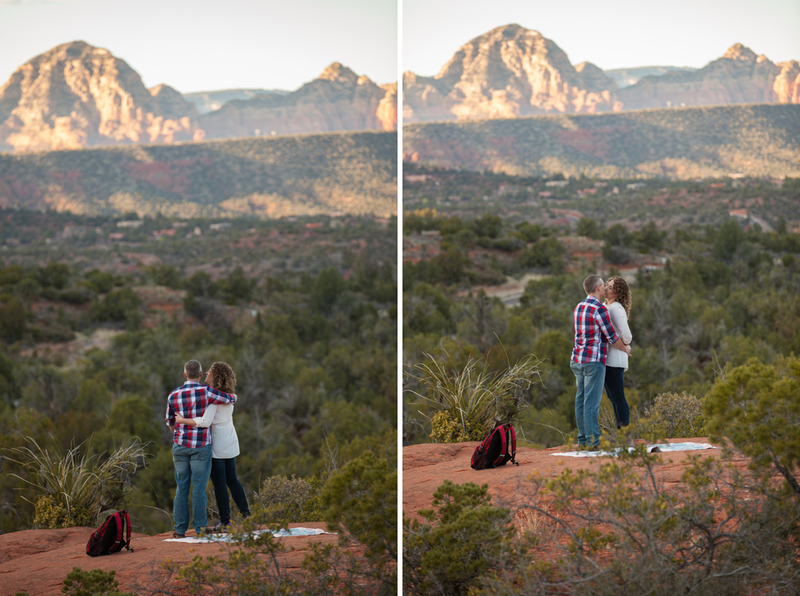 To Helene’s surprise Chris got down on one knee and asked her to be his wife. 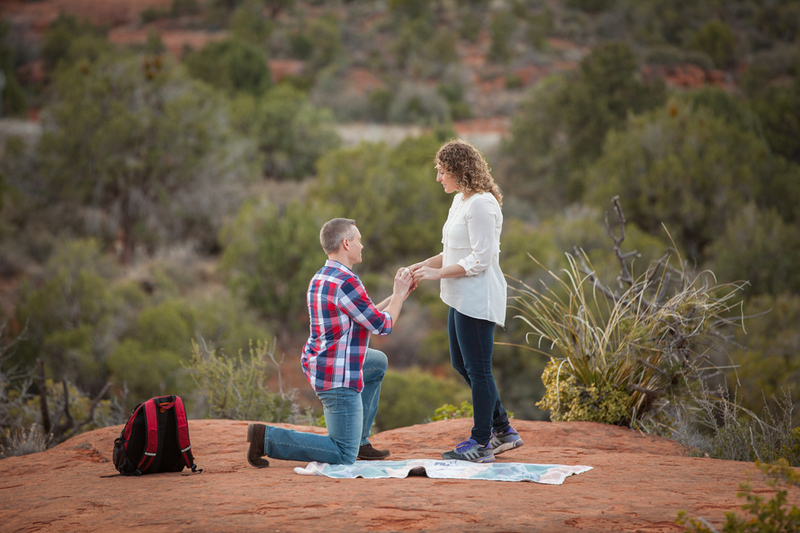 We could not be happier for Chris and Helene’s engagement! 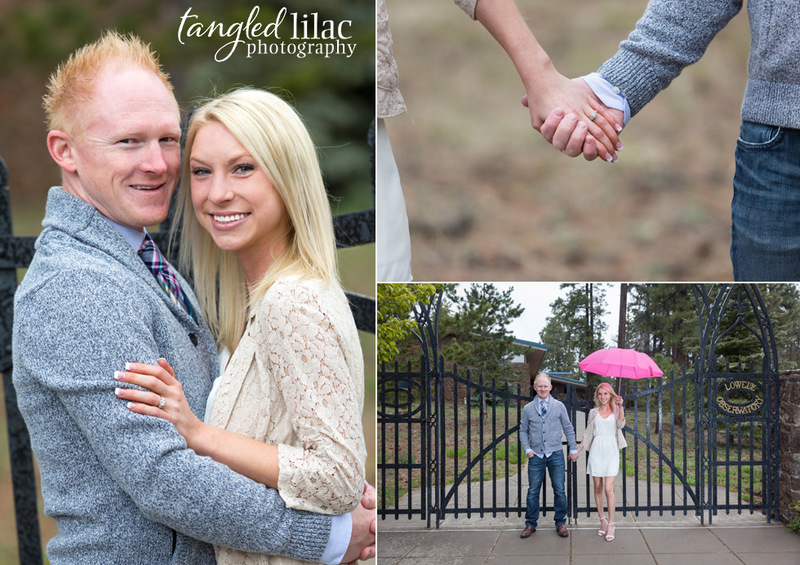 Three years ago, Jon and Megan met while working at Bank of America. 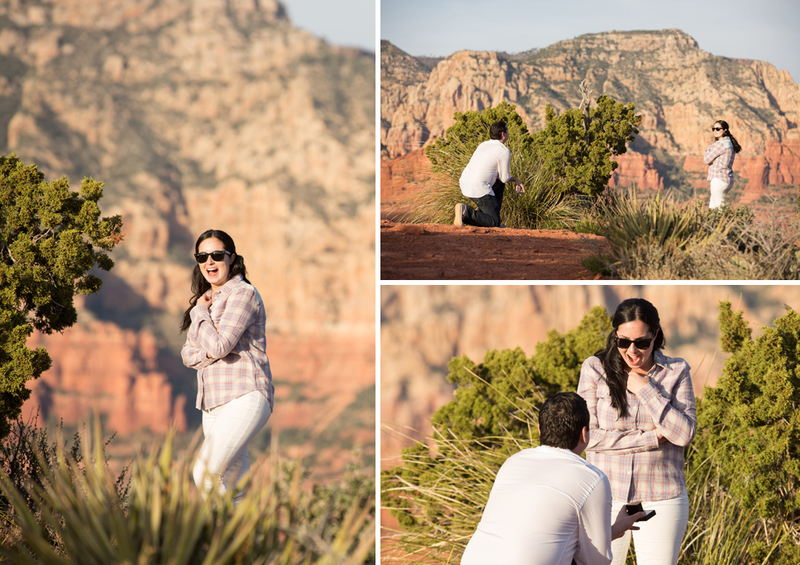 The two’s friendship quickly turned to love, and when the two purchased their first house together last December, Jon surprised Megan by putting a ring in a bouquet of flowers that he strategically put on the kitchen counter. 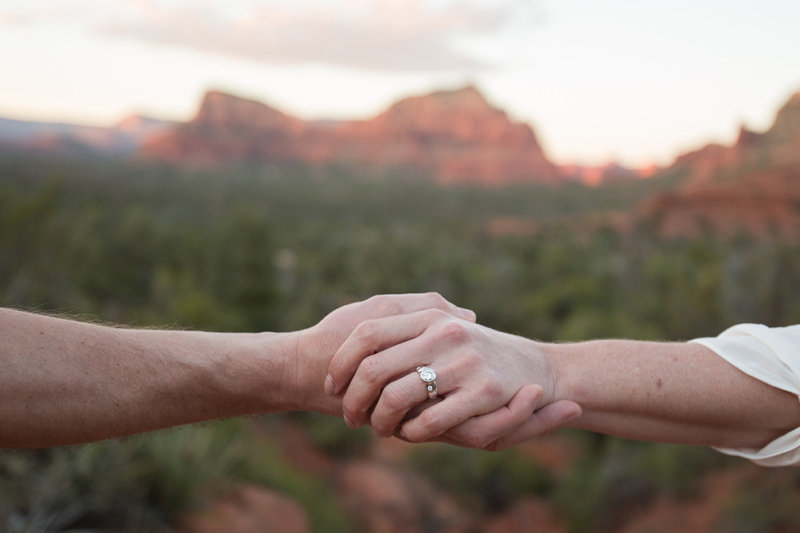 Megan thought the flowers were just a sweet gesture to celebrate their new home, so she never really looked at the flowers close enough to see the ring. 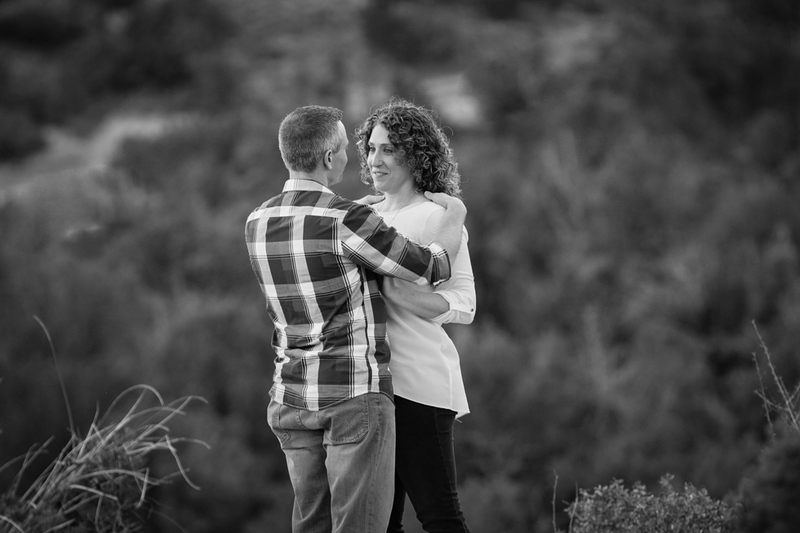 So Jon pulled the ring out, got down on one knee and asked Megan to spend the rest of her life with him. 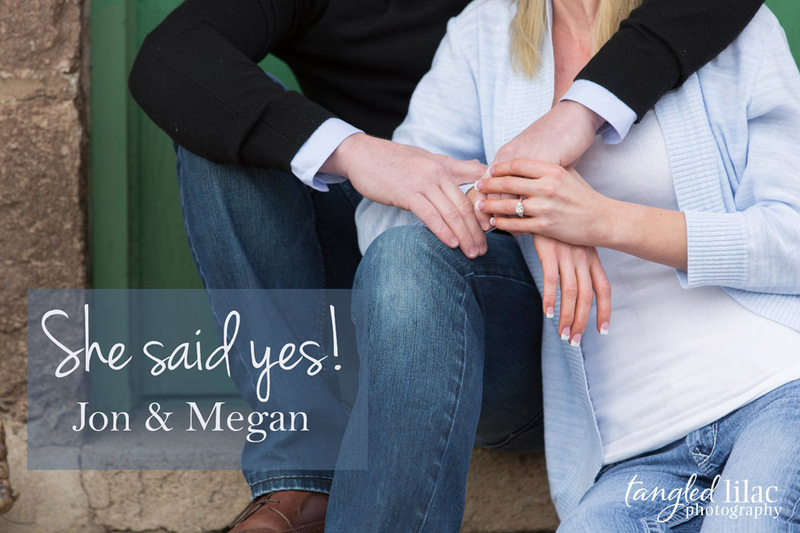 Megan said ‘yes!”. 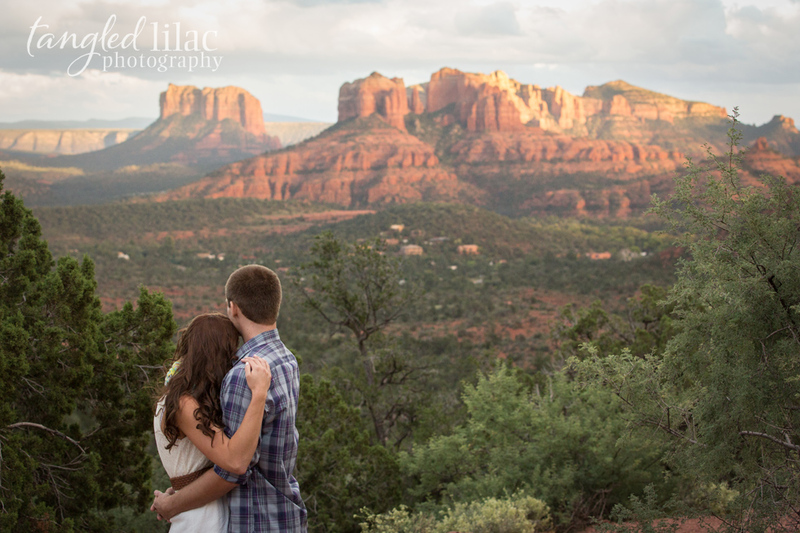 The two choose Flagstaff for their engagement session because they love the town and the scenery. But in true Flagstaff weather fashion, a spring day quickly turned into a winter storm and we were chased off the San Francisco Peaks during a sleet and wind storm. 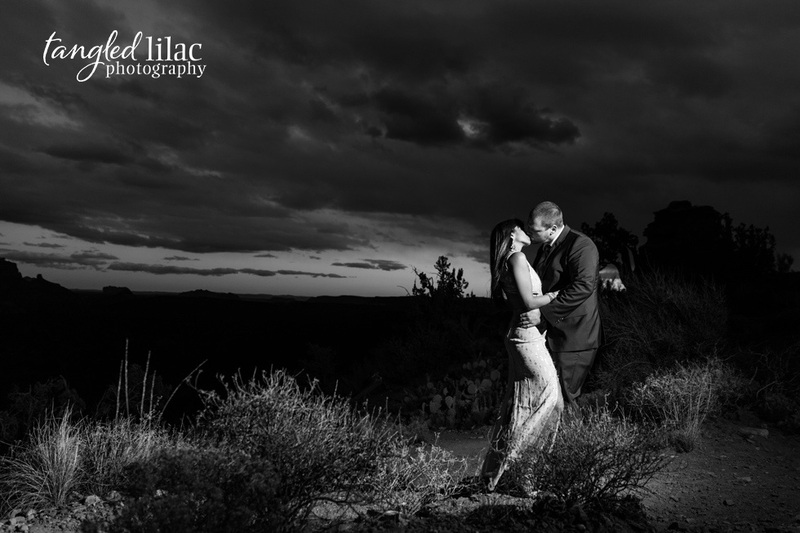 We chose, instead, the grounds at Lowell Observatory and downtown Flagstaff to capture their time here. These two are so sweet together. I loved watching how they interacted, laughed and touched each other so lovingly. Neither Megan nor Jon work at the bank anymore. 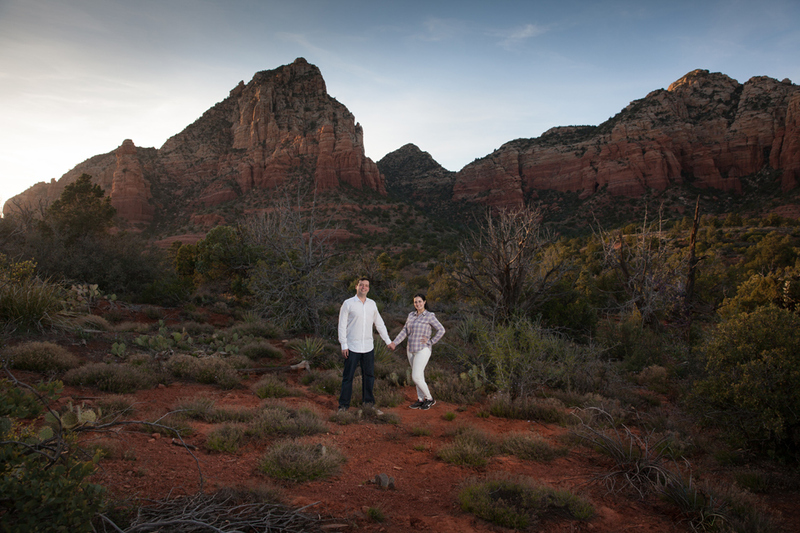 Megan is with PayPal and Jon, a retired professional cyclist, is now the owner and coach with Fast Twitch Coaching. This week, he’s at the Tour of the Gila helping Silber Pro Cycling. Never one to slow down, he’ll be back in Flagstaff this coming June as a coach for the USA Cycling Development Camp. 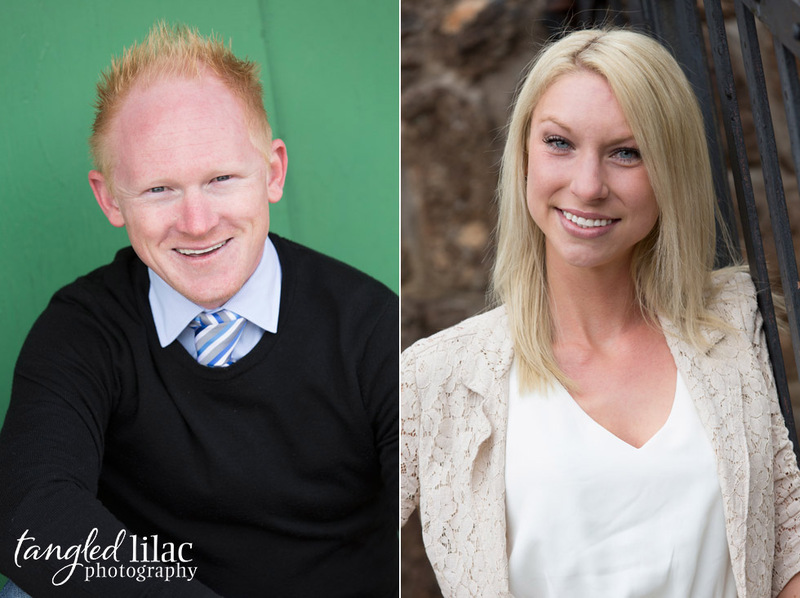 Congrats you two and I’m looking forward to your November wedding! Alie and Nate met in college. It was a fateful day when the class was grouping into partners for a project. Nate had already decided that he was going to drop the class, until the teacher said, “Why don’t you be Alie’s partner”. And from there it’s history. 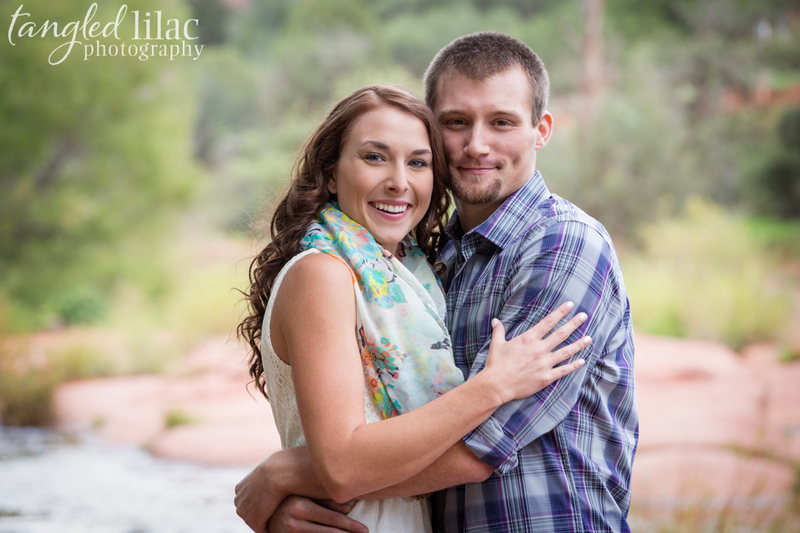 Nate and Alie dated for three years, and have been married for three years. 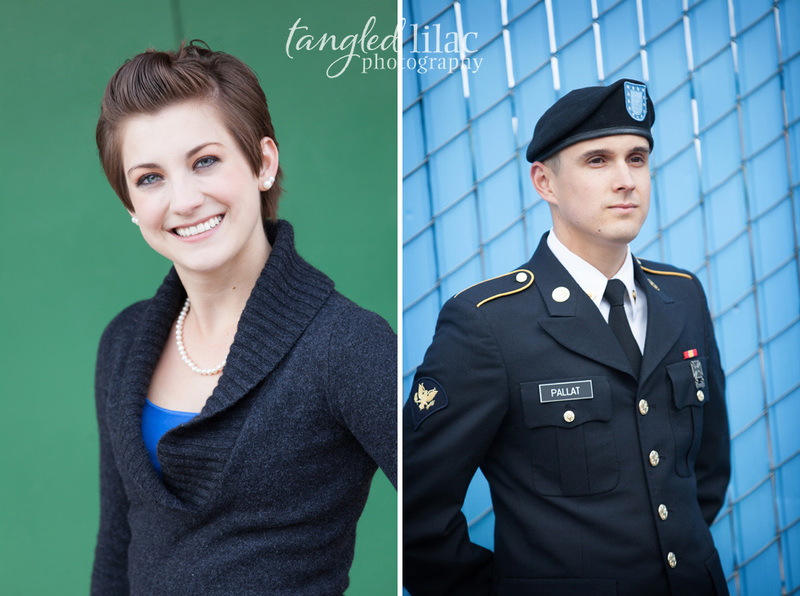 They’ve both gone to college and Alie has gotten her master’s degree and recently, Nate decided to join the National Guard. 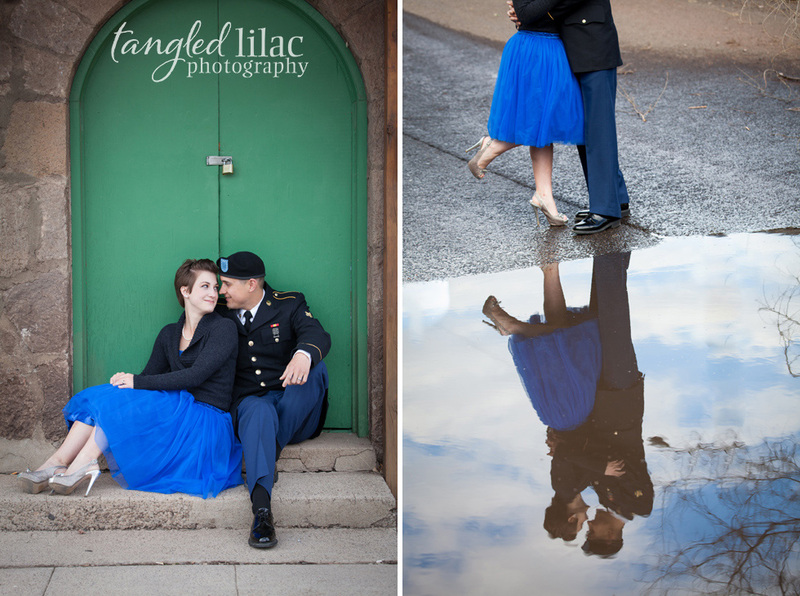 Alie wanted to surprise Nate with something special when he got home from Basic Training so she called us for a photography session. 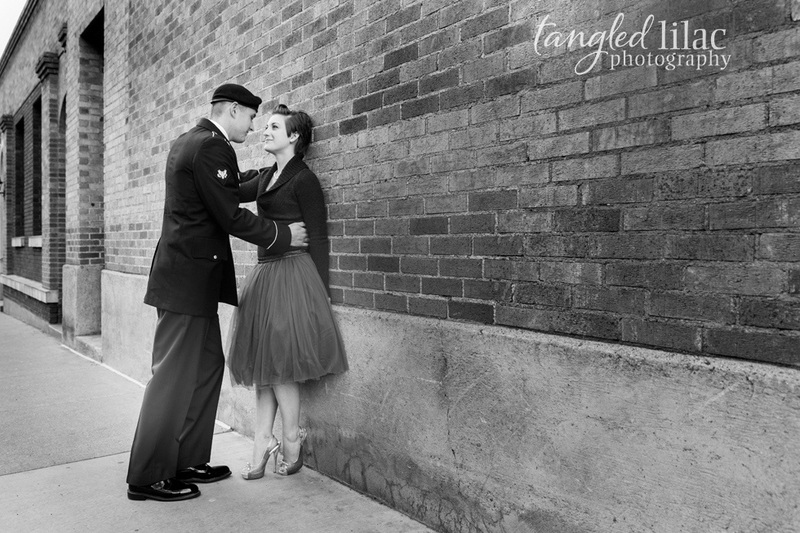 It had been since their wedding three years prior since they had their photos taken and she didn’t want to miss another three years. We decided on the downtown Flagstaff location, for it’s diversity and urban tone. 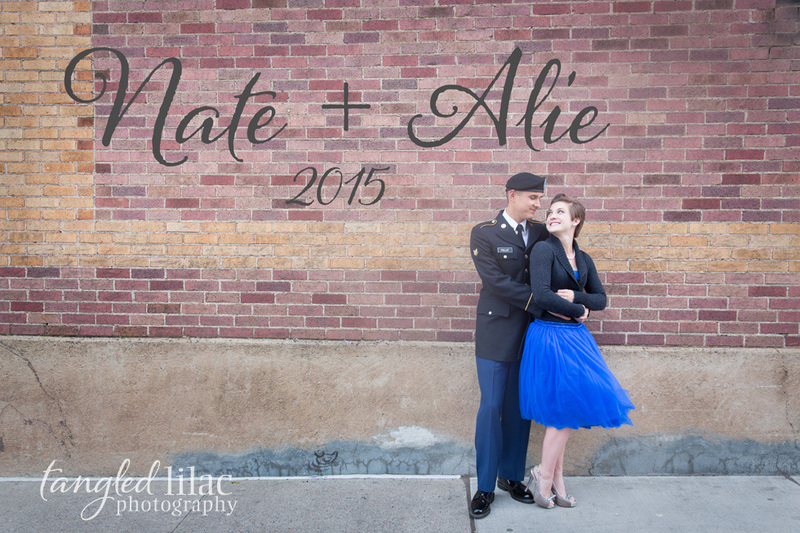 It worked beautifully with Alie’s colbalt blue skirt and Nate’s dashing dress blues. 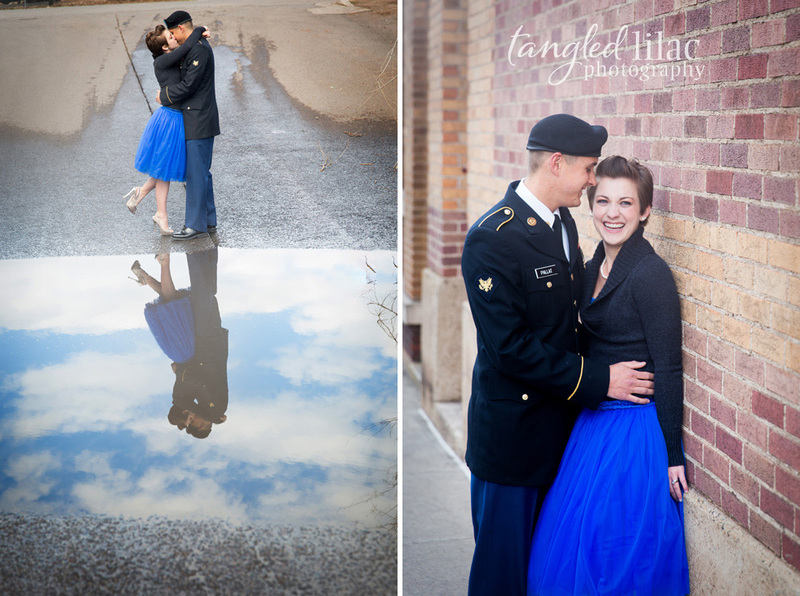 It was such a pleasure to spend an afternoon with this sweet, accomplished couple. 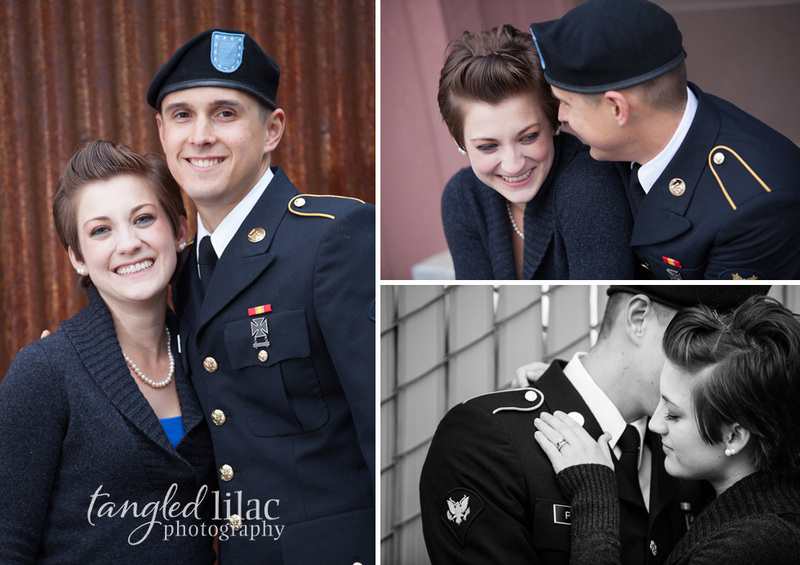 And, we are always honored when the men and women who serve our country come to us for photo sessions. 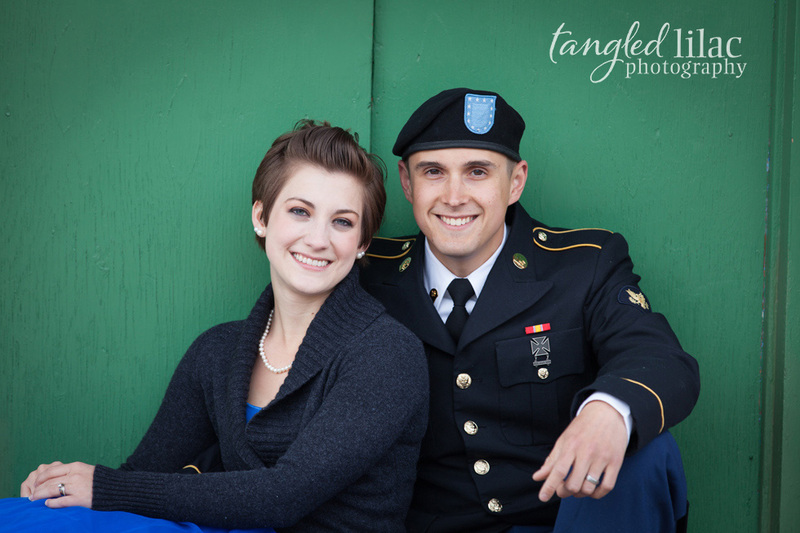 Thank you for serving our country Nate. 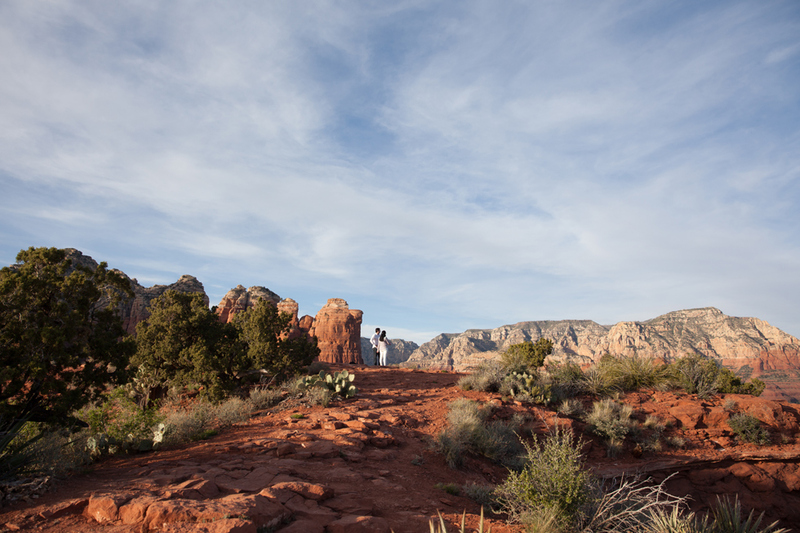 We wish you both many more happy years together!